It's been drizzling steadily since yesterday morning but the cats aren't bored at all. Scoop is lying on the doormat, keeping an eye on the comings and goings of our neighbours who are all preparing for Christmas, and Au is supervising Tom in his office. The cats may not recognise Christmas but they know something is up. They're spending a lot of time chatting away to each other, and they are inspecting shopping bags scrupulously. Excitement is in the air! We're planning to spend Christmas with friends down the road (who have already offered to set aside a slice of turkey for Scoop!) and then we'll have "orthodox Christmas" on January 6th at our place. Then there will be Chinese New Year to follow. The future is looking good! 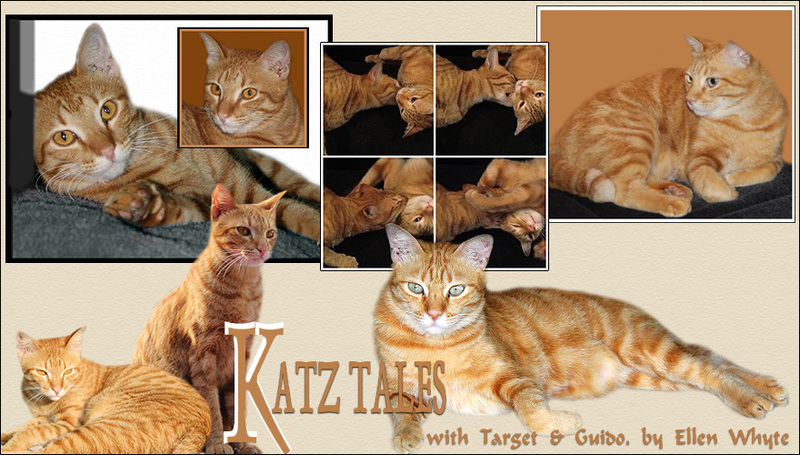 PS Katz Tales is out on Saturday in the Weekend section of The Star.